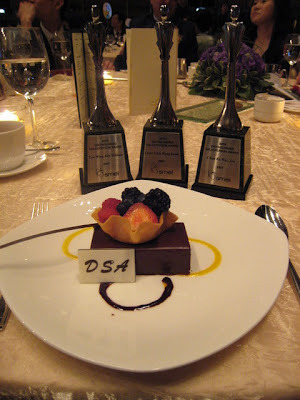 Yes, we finally received the 39th DSA. The meal was good, and all of us were happy. Kevin, Joe and I were all excited for being selected to receive the Award. Of course, we had took a lot photos to mark down the memory of this remarkable event. I wish all three of us will continue to work hard in order to proof that we are really being distinguished.